BENDASTIX™ by Fibre-Craft is such a creative, unique toy building craft concept that is universally appealing to both boys and girls with lots of project kit options including BRACELETZ, BOTZ, BUDZ, BANDZ and BOWZ. 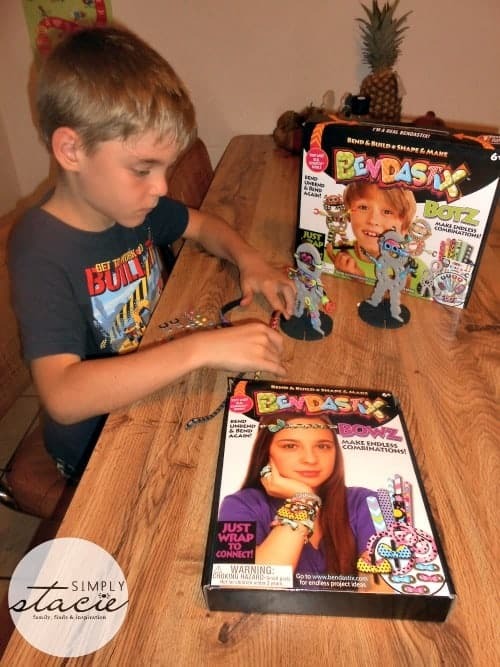 My three children ages 6, 7 and 8 have been having a blast playing with the Big Box of BENDASTIX™ ($19.99) and were delighted to discover that there are new smaller BENDASTIX™ kits available too so that they can make custom mix and match jewelry, build cars, flowers, robots and even kooky glasses. I appreciate that the kits are very affordably priced from only $6.99 to $19.99 and these would be excellent gift ideas for the holidays! How does it work? BENDASTIX™ are soft, squishy craft pieces that are very flexible and can therefore be bended and molded into infinite shapes. The pieces are surprisingly durable and even after frequent play, not one of our pieces has ever been broken despite multiple uses. The bold colors, prints and zig-zag patterns are vibrant and appealing to children ages 6 and up. It is very easy for little hands to bend the pieces and wrap around other pieces creating unique projects. 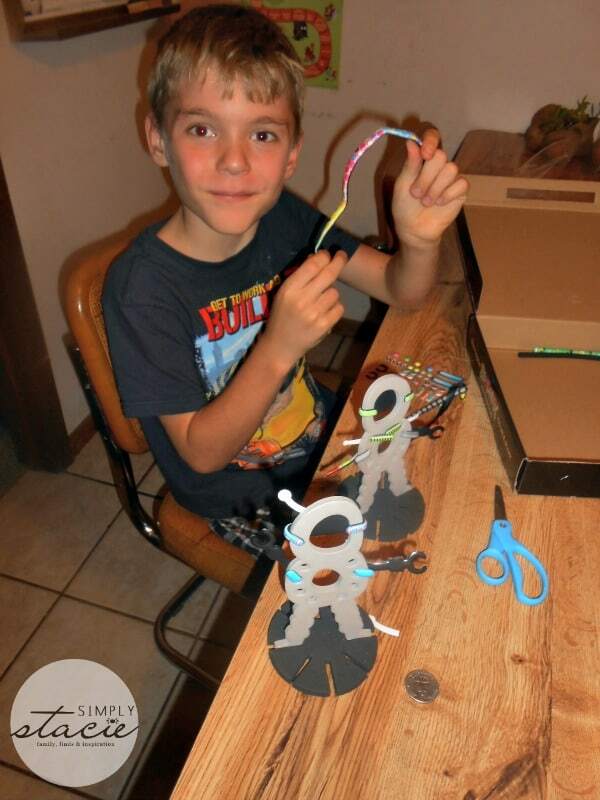 As a mom, I appreciate that BENDASTIX™ encourages my children to use their imaginations and I love to watch them beaming with pride as they display their latest creations. This is sure to be a classic toy (love that there are no batteries required) and a hit with kids of all ages. I also love that BENDASTIX™ is not just a one-time only craft kit so we really get maximum use for our money as there are endless combinations and kids can reuse and rebuild over and over again. 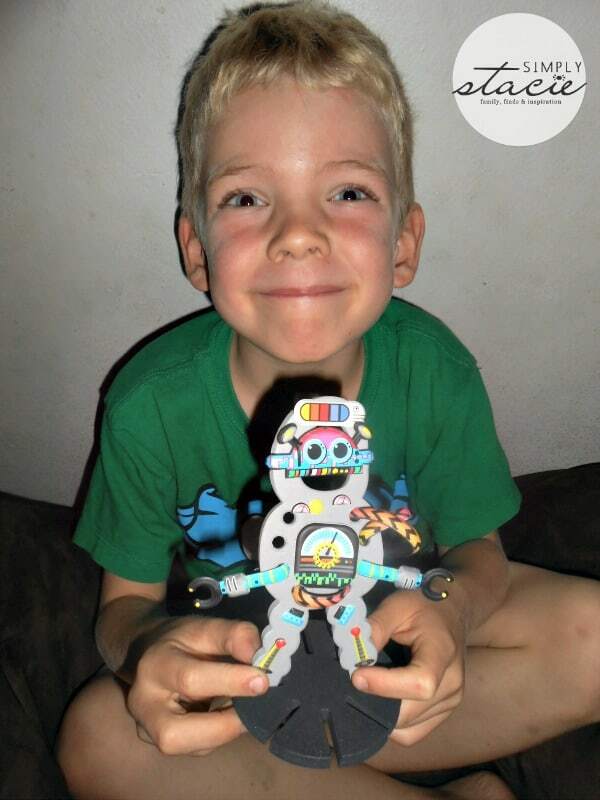 My sons loved the new BUDZ kit and BOTZ Kit from BENDASTIX™ as they were able to “bend & build, shape & make” adorable critter creations using Mini Stix, Medium Stix, Thingamajig and Bendastickerz. They could follow the instruction sheet or use their imaginations to create their own custom critters and funky robots. 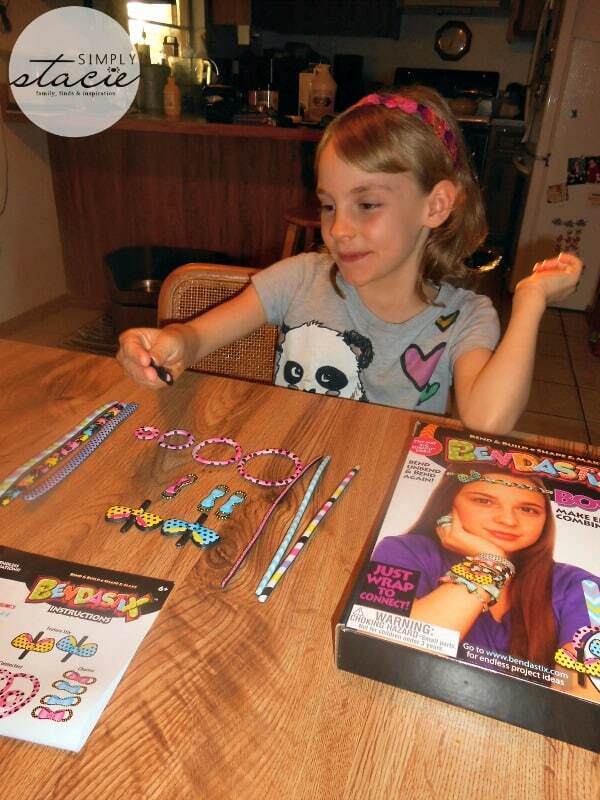 My daughter likes to make her own jewelry so she really enjoys the BOWZ kit where she can make custom headbands, bracelets, rings and even bows. She loves to wear her jewelry and has even made a few pieces as gifts for her friends and family. Hannah will play with this kit for over an hour at a time and it is a wonderful idea for rainy days, quiet play etc. You are invited to visit BENDASTIX™ to browse the entire selection of kits and purchase your favorites! I would choose the BRACELETZ! If possible I would love to have the Braceletz set of Bendastix for my daughter. She would love them. I’d choose the Botz kit! I would choose the Braceltz set. I like the bracelette set. I like the botz kit. I would choose the bendastix bandz! I would choose the Braceltz Bands! I would choose the Botz kit! I’d choose the budz for my nephew. Our granddaughter would love the Braceletz. I would love the braceletz for my daughter. I’d choose the bots. Thanks for the chance. Would love to try the braceletz for my little girl and her best friend! They are looming nerds 🙂 They would love this! !